Launch a Mighty Micros space mission to take back the Bottle City of Kandor from Brainiac™. Jump into Supergirl’s rocket, take off and chase Brainiac’s UFO. Grab the shrunken city from the villain’s hands and speed away. Then examine that tiny city with Supergirl's magnifying glass! 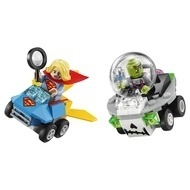 - Includes Supergirl™ and Brainiac™ minifigures with mini legs. - Supergirl’s Mighty Micros rocket features wings, rear wing and hood with ‘S’ symbol decoration. 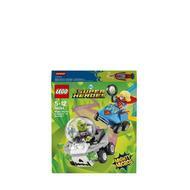 - Brainiac’s Mighty Micros UFO features a bubble windshield and Brainiac™ skull decoration. 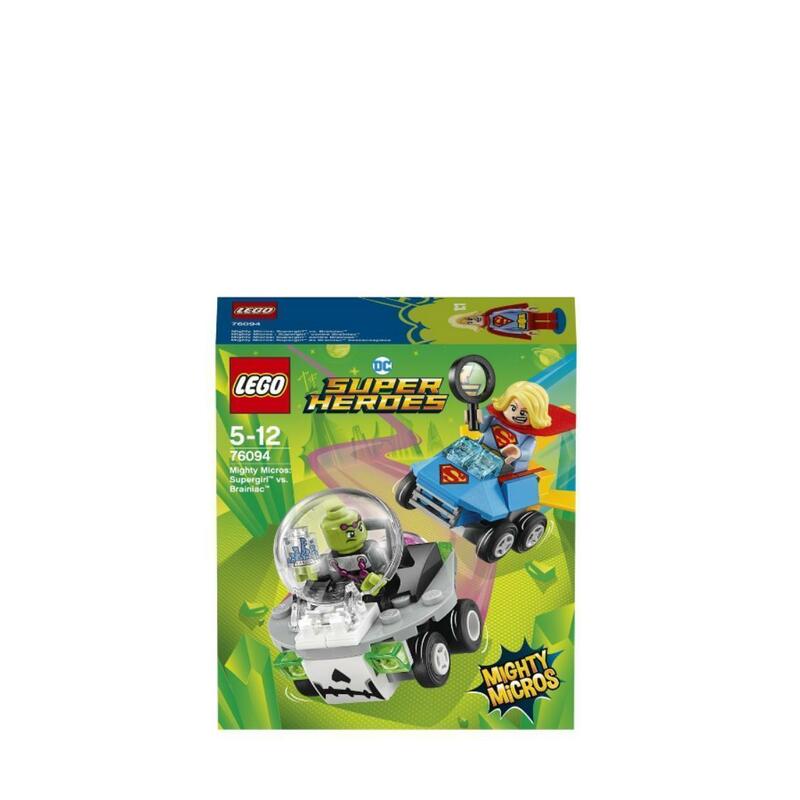 - Accessory elements include Supergirl's magnifying glass and cape, and Brainiac's shrunken city. - Multiple Mighty Micros sets to collect, including 76092 Mighty Micros: Batman™ vs. Harley Quinn™ and 76093 Mighty Micros: Nightwing vs. The Joker™, for even more battle fun. - This fun superhero toy for girls and boys is suitable for ages 5-12. - Rocket measures over 1” (4cm) high, 1” (5cm) long and 1” (5cm) wide. - UFO measures over 1” (5cm) high, 1” (5cm) long and 1” (4cm) wide.